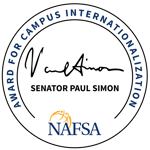 A list of select NAFSA publications related to leading internationalization. Developed and maintained by NAFSA members, this network provides resources and guidance for international education leaders worldwide on a full range of topics, from management and leadership to partnerships to assessment and evaluation. 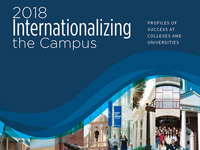 With more than 50 examples from campuses of various sizes and types, the award-winners’ profiles provide insights into how a campus like yours can achieve internationalization. The NAFSA Global Dialogue Fellowship Program will provide support to five African higher education professionals who are working to provide greater access to international study and research for their institution; to increase international competence among their students, faculty members, and university administrators; and to strengthen institutional relationships with higher education institutions in other countries.